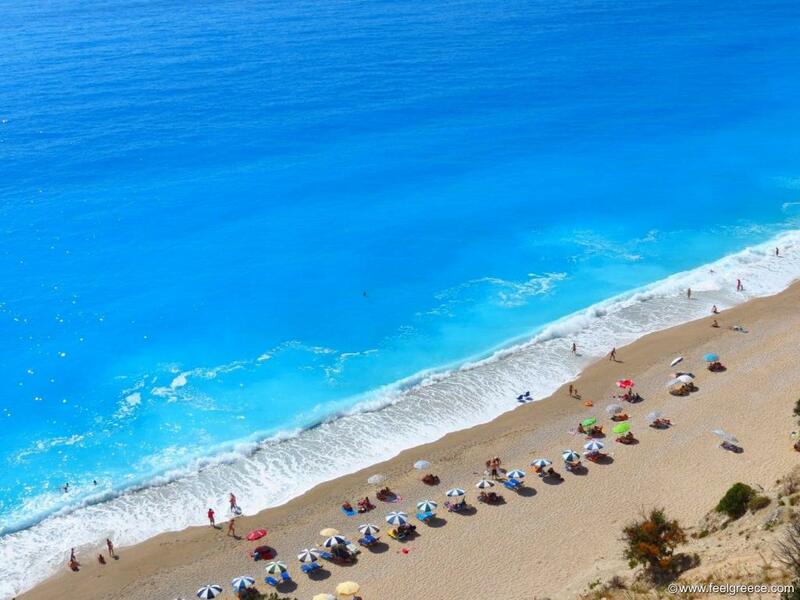 The most photographed and not that difficult to reach beach on Lefkada. There is also a special platform allowing you to see the entire beach but it is scary and not recommendable for those who are afraid of heights. It often gets crowded in the summer due to the small size and you`d better go early in the morning or in the late afternoon. The sunset at Porto Katsiki is very dramatic and tints the cliffs in golden and red. It is a pity that probably you will never see the beach exactly as shown on this and other photos - they were taken during the descent on one of the 347 steps leading down to it. The steps are now gone along with the road. Egremni was buried under landslide after an earthquake in 2015 and since then it is accessible only by boat (not impossible to visit it on foot but not recommendable as well). The collapsed road is currently under construction, anticipated ready in summer 2018 or 2019. The sea has restored the beach to some of its previous state of glory and it is still a beautiful place. We hope to see it (almost) the same one day! 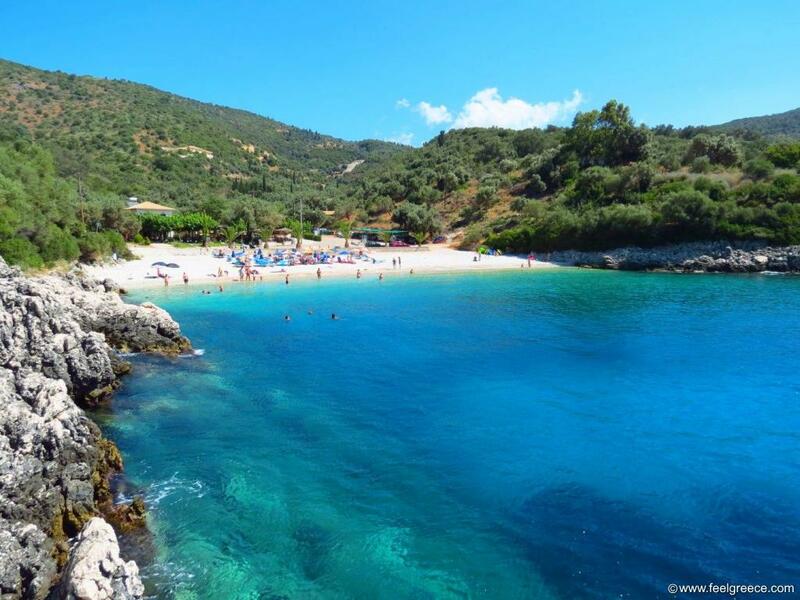 Very large and easily reachable by car, Kathisma is the most organized beach on the island, with plenty of beach bars and tavernas, plus hotels. The easy access though has turned it into a very popular place and it does get crowded sometimes despite its size. If you want to find more privacy you can use this small hint - go to the southernmost end of the beach where you will see a group of rocks both in the sea and on the shore. Keep walking and behind the rocks you will find yourself on the adjacent beach. It is a subject of disputes if this beach is the natural extension of Kathisma or of Kalamitsi but for sure there will be more space. 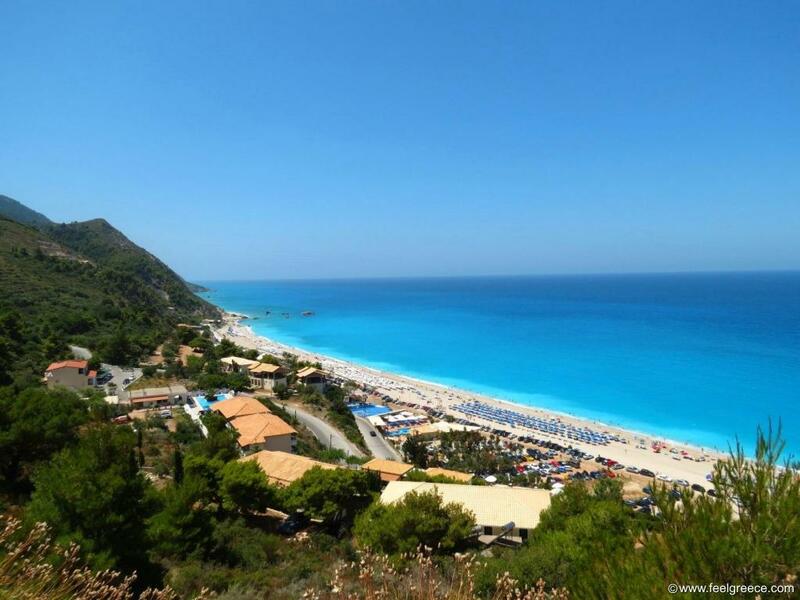 Vast and extremely blue, Gialos is not as much popular as the rest, despite there is a road leading to the very beach. Explanation - the road is steep, narrow, with hairpin turns, and parts of it collapsed during the earthquake in 2015 which buried Egremni, so driving on it makes you feels like walking close to the edge of an avalanche, no matter it is safe for cars. The brave souls who reach the end of the road would be rewarded with magnificent views and enormous beach which is never busy. Good to know that waves can be really, really big on Gialos. 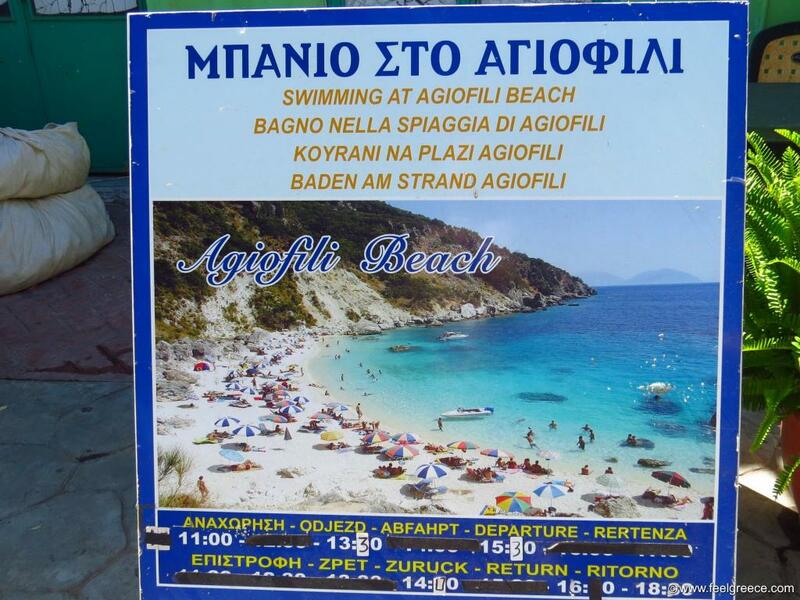 Known only to the locals in the past, Agiofili is no more a secret for tourists. Small, scenic and crystal clear, it gets very crowded in July and August unless you come early in the morning. 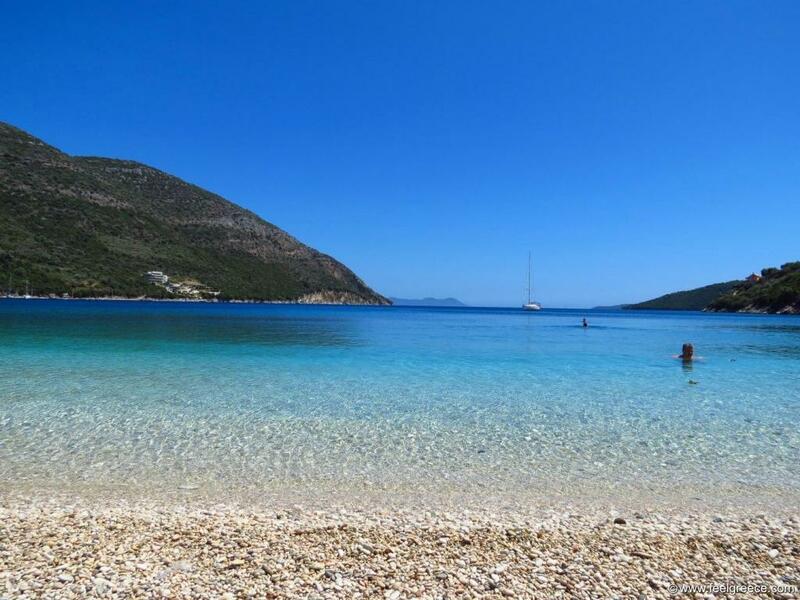 Until recently it was accessible via taxi boat from Vasiliki or on foot after driving on dirt road but now the road is extended and reaches the beach. The best time to enjoy this place is May, June or September. Kalamitsi is in fact a series of a few beaches accessible via a steep and narrow winding road 4 km from village of Kalamitsi. These are Avali, Kavalikefta and Megali Petra. Avali is the least known of them and also the longest. The exotic Megali Petra and Kavalikefta are distinguished by the large pieces of rocks, scattered both in the sea and on the shore. The easiest to access beach on the west coast but not less beautiful. Pefkoulia is large and wide enough, having both a beach bar and space for naturists and people who want to find privacy. 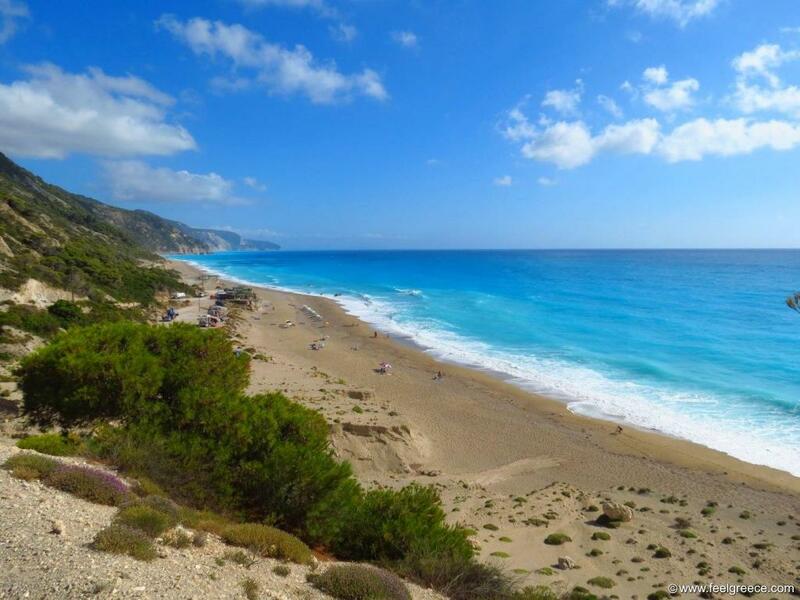 The main island road which goes from Lefkada Town to Vasiliki passes just above and you will not miss it. Crystal clear, transparent and as smooth as a mirror. 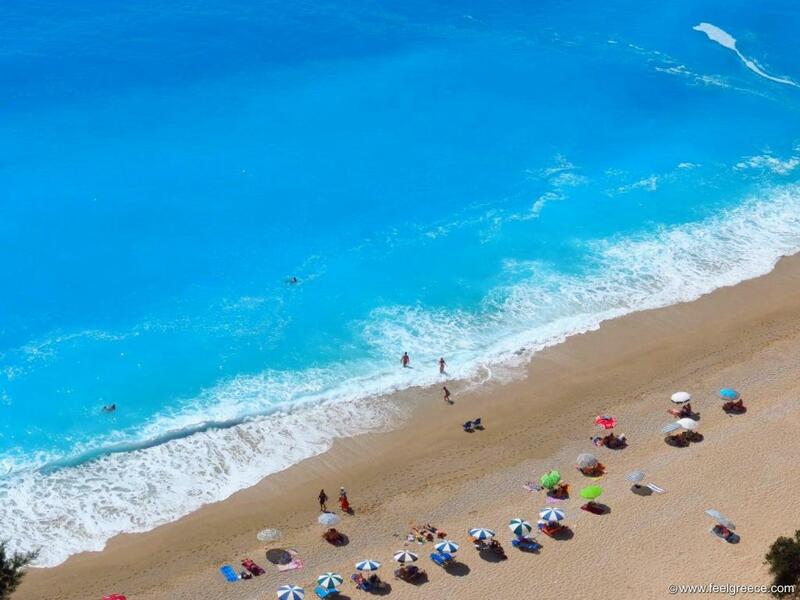 Due to its location in a deep bay, it is very rare to see waves at Mikros Gialos. Sand is missing at all and there are large smooth pebbles instead, driving away more sensitive people who seek sandy beaches. Accessible only by boat or on foot, Milos is, as you can guess, one of the calmest beaches on the west coast of the island. It is large enough to accept many visitors and still remain empty. 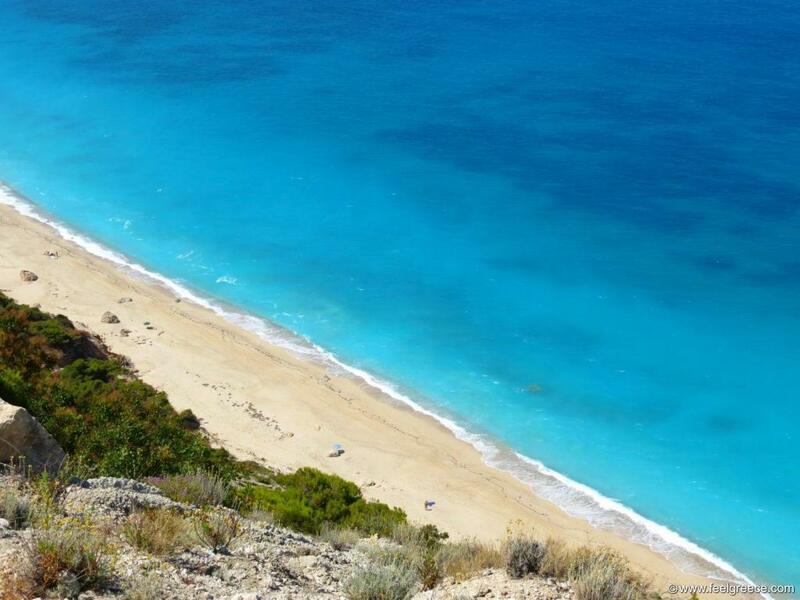 The hiking trail starts from the center of Agios Nikitas village and the hike takes approximately 25-30 minutes. No facilities are available on this beach. The eastern beach of Amousso (or Ammoussa) is away from all villages so no chance to stumble upon it by accident. It is the smaller version of Mikros Gialos - pebbled and as smooth as a lake. 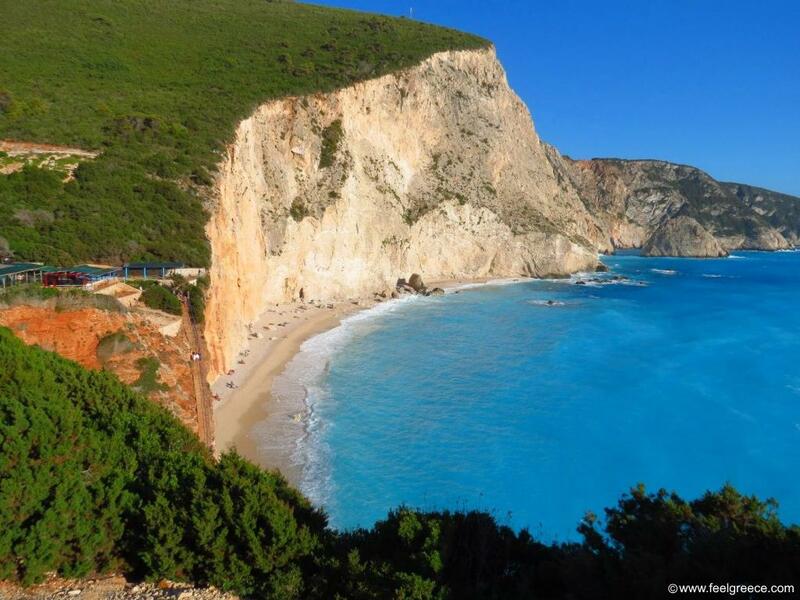 Amousso is lined with low sea cliffs from both sides and from them you can jump in the transparent blue water.